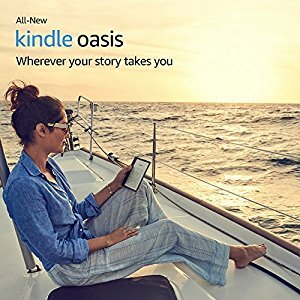 Amazon Gift Card allows you to make one-off paid Kindle ebooks purchase from Amazon Kindle Store US or India with 1-click button from your Amazon Kindle device directly in Indonesia. No VPN required. You only need to buy Amazon Gift Card from Kindle Indonesia for once (1) only to practice using Amazon Gift Card in Indonesia. Subsequently, you may buy new Amazon Gift Card top up in USD with your own Indonesia Credit Card & Indonesia Billing Address from your other Amazon.com (ID) Account here.You may attempt to make your first & one (1) Paid Purchase from your Kindle device in Indonesia (without VPN) only after 2 days (48 hours) from your date receiving your Amazon Gift Card. If your Paid eBook did not appear in your Home Screen after 60 seconds, please email Admin@KindleIndonesia.com. Please DO NOT perform multiple purchase attempts on the same paid eBook. Your virtual Amazon Gift Card has no expiry date and will be emailed from Admin@KindleIndonesia.com with simple steps to redeem the Amazon Gift Card claim code into your Amazon Account. On the contrary, Amazon Gift Cards in India Rupees, including any unused Gift Card balances, will expire one year from the date of issuance. Prerequisites: Make sure that you have your own dedicated US debit Card. You will automatically get one when you buy a kindle device from us or you subscribe to our Kindle Value Added Services worth USD 35. Make sure that you don’t buy more than the credit available in your gift card, if you do so, Amazon can put your account on hold and kindleindonesia.com would not be able to extend its support on your account. kindleindonesia.com would not be responsible for the irresponsible usage of the gift card after it is sold.